Attorney General Josh Shapiro and I, recently, joined local emergency agencies, representatives from memory care facilities and national and local advocates at Country Meadows of Allentown to announce state funding to support a Project Lifesaver grant program in Lehigh County. Project Lifesaver aids families and local emergency agencies to help search, locate and rescue missing persons with special needs. I was proud to help secure state funding for this $100,000 grant that will be administrated through the Pennsylvania Attorney General’s Office. Project Lifesaver was established in April of 1999 with the mission of using state-of-the-art technology in assisting those who care for victims of Alzheimer’s, Dementia, Autism, Down Syndrome and any other cognitive condition that causes wandering. The program places personalized radio transmitters on identified persons, which then assists caregivers and local emergency agencies in locating those individuals should they go missing. With the use of this technology, local emergency teams responding to calls have an average rescue time of less than 30 minutes. Incidents over the past few years in the Lehigh Valley have drawn more attention to the importance of expanding the Project Lifesaver program, especially in the case of a young autistic boy, Jayliel Batista, who tragically drowned on New Year’s Eve in 2016 after wandering away from his home. The grant program will provide the resources for selected recipients to become a Project Lifesaver member or associate and to fund the purchase of and training on the state-of-the-art technology and radio transmitting bracelets used in the search for missing individuals. It will also allow already-established Project Lifesaver members and associates to purchase additional or updated equipment and additional bracelets. The non-profit organization Project LifeSaver International will provide the training and state-of-the-art technology equipment and radio transmitting bracelets to the qualified recipients. New Project Lifesaver members through these grants are Police Departments in Coplay, Macungie, Upper Macungie, Upper Saucon and Whitehall along with Wolf Pack Search and Rescue. Memory Care Facilities which are now able to become members are: Country Meadows of Allentown, In Spirit Senior Living, Sacred Heart Senior Home and South Mountain Memory. Lehigh County’s Sheriff’s office will become a new Project Lifesaver associate, while Police Departments in Allentown, Bethlehem, Emmaus, Salisbury and South Whitehall will all be eligible for additional equipment or bracelets. I was pleased to work with Attorney General Shapiro, Martha Lieberman, Gene Saunders and many others advocates, supporters and local emergency agencies and memory care facilities in identifying the need and interest in expanding the Project Lifesaver program. To read more, CLICK HERE. 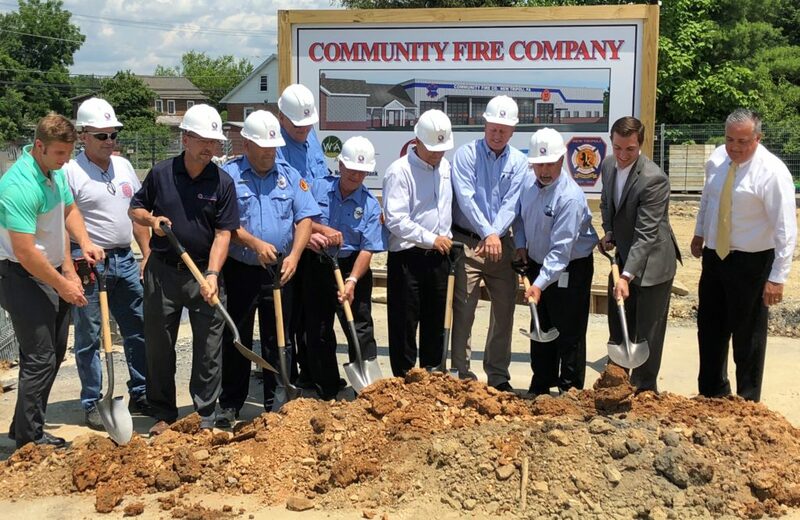 New Tripoli Fire Company recently celebrated the groundbreaking for its new fire station. This state-of-the-art facility will aid in the ability of local first responders to efficiently and effectively ensure the safety of residents in Northwestern Lehigh County. Pennsylvania communities rely largely on volunteer firefighters for firefighting and fire prevention. These brave volunteers’ dedicated service cannot be understated as they carry out their duties of protecting and serving our communities. With that in mind, it was a pleasure to secure a $250,000 state grant to assist with the cost of the new New Tripoli Fire Company station. Earlier this month, I held my 13th annual Community and Family Expo at Bucky Boyle Park in Allentown. This event is designed to showcase the vast amount of community, state and federal information, programs and resources available to area children and families. I was honored to have former Philadelphia Phillies great Mickey Morandini stop by the Expo and put on a hitting clinic for the young fans. Morandini played nine seasons for the Phillies and was part of 1993 club that made it to the World Series. 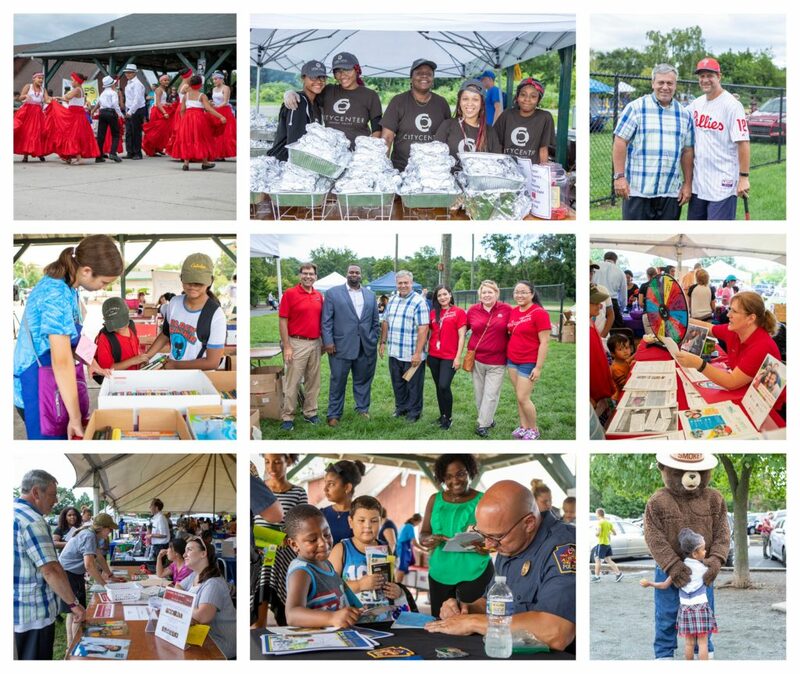 A special thank you to Wells Fargo and its employees, who were on hand to give out backpacks to children, just in time as they head back to school, and to Cops ‘n’ Kids for giving out hundreds of books to kids attending. Community organizations and groups also provided entertainment throughout the event. Thank you to all the families for coming out this year and participating in this great event. My staff and I are already looking forward to next year! 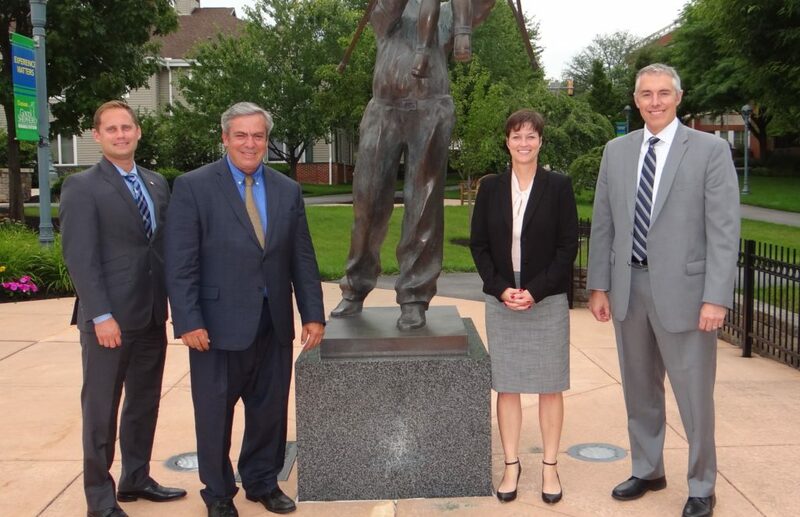 Recently, Good Shepherd Rehabilitation Network’s CEO, John Kristel, was kind enough to give Rep. Zach Mako, Department of Human Services Secretary Teresa Miller and me a tour of their Allentown Campus. Good Shepherd and its talented and companionate staff do a phenomenal job caring for some of the most at-need individuals in the Commonwealth. It was great to see firsthand the tremendous facilities and equipment it has to offer in the care of these individuals and to meet the doctors, nurses, technicians and staff who make Good Shepherd operate so effectively and professionally. I thank the team at Good Shepherd for taking the time to show us their facility and the ways its residents and the community benefit from Good Shepherd’s existence.